Beirut- Faylaq Al-Rahman accepted on Friday to join the de-escalation agreement in the eastern suburbs of Damascus after signing a deal with Russia to halt hostilities as of 9 pm and to lift the siege of eastern Ghouta. “Following three days of negotiations with the Russian side, an agreement was signed to stop fighting as of 18/8/2017 at 21:00 Damascus time,” the group, one of the largest factions operating under the Free Army in Jobar and Ghouta, said in a statement. Russia’s Defense Ministry confirmed on Friday signing a deal with Faylaq al-Rahman in the de-escalation zone of eastern Ghouta province. A statement issued by the ministry said the deal was signed in Geneva, adding that the opposition group would refrain from launching attacks against diplomatic missions in Damascus, including the Russian embassy. The de-escalation zone in Eastern Ghouta is one of four zones of a plan approved in May by Russia, Turkey and Iran to stipulate a cessation of hostilities over designated areas. Details of the de-escalation agreement would be announced in a press conference scheduled for next Monday. 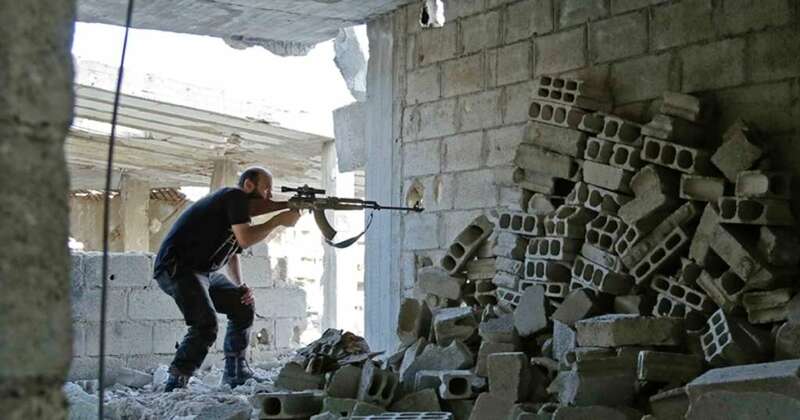 “We promise the Syrian people to protect the principles of the Revolution in all our political works and military confrontations, until we see a free and dignified Syria,” the Faylaq said in the statement. Separately, regime forces controlled on Friday four new gas fields and tightened the grip on ISIS militants in the center of the eastern desert. As a response, ISIS militants launched a counter-attack while battles raged between the two sides on Friday night at the crossing of Maksar al-Hissan and Jab al-Jarah in the countryside of eastern Homs, leaving a number of casualties on both sides.